Triangle panel Anarkali is little accumulation or variation of Panel Anarkali. These types of Anarkali top having fit bodice and flare skirt part with Triangle and rectangle panels. This Anarkali suit stitched with thin fabrics like chiffon, Georgette, net, tissue & cotton with proper lining. 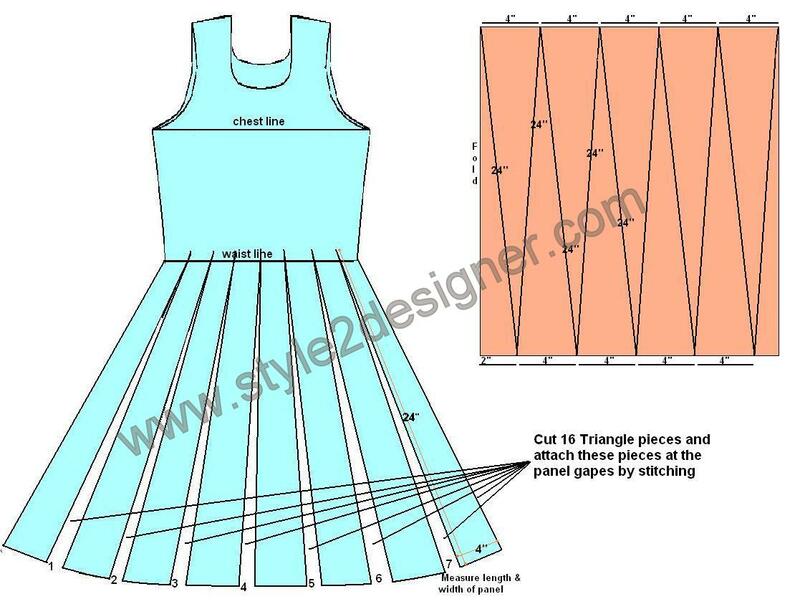 Here we are going to learn how to make draft of Anarkali with Triangle panels form Basic A-line Kameez draft. For that first we should know about the basic Kameez draft. Click HERE to see Kameez draft construction method. First we need Kameez draft then follow the instructions to make A line draft. If u wants to make high waist line Anarkali add this following construction points to the basic Kameez draft. Then Join 11’-4’ side seam line. Mark the centre points of (1-4) & (12-13) and draw line to join that points. Cut the line and slash as like as the draft 1. Now you have A-line draft. Draw a straight upward line form the mid point of (12-13) to meet the line (10-11) in A-line draft. Cut the line and slash to have a flare draft. Refer draft 1 image. Neck slit opening need only at the circumference of head is lesser than neck circumference. 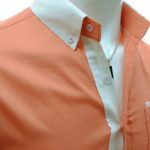 Here I take Basic A line Kameez draft and open the fold of front & back draft and mark 8 divided equal points at 1” above waist line and Hem line. Cut along these lines till to the marked point, it should not cross the line of front & back part. Time to make triangle panels, we need 18 triangle panels. Now we have to measure the length and width of panel and draft triangle pieces with these measurements. Cut 18 triangle pieces, we have to attach 7 pieces at front, 7 pieces at back and 2 pieces at 2 sides of the panels gape. 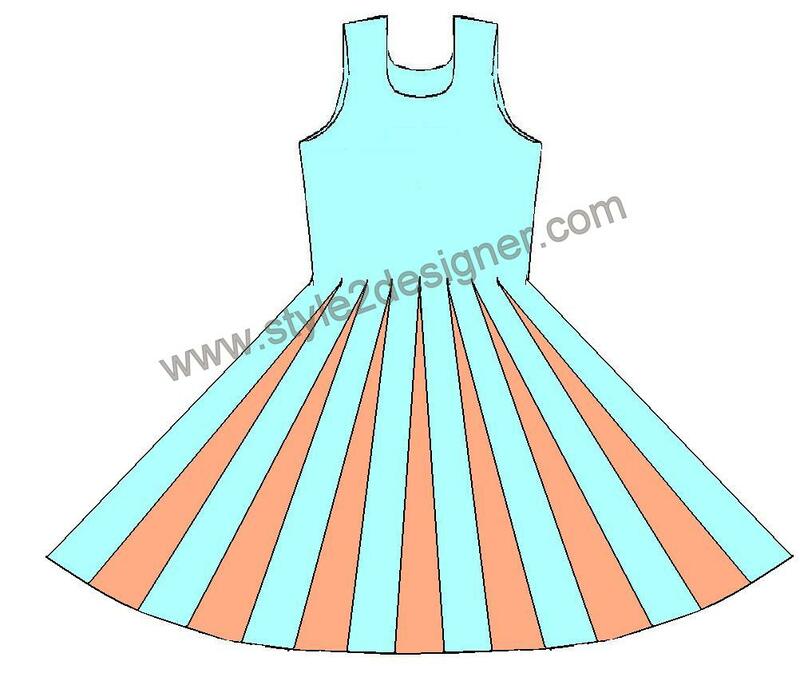 Finish Neck lines, sleeve (option), Shoulder and hemline. Sewing Instructions are same as Kameez. Click HERE to Refer Kameez tutorial. Thanks for sharing…. It really helps us to go with current fashion… My daughter is just 7 years old…. She is very much happy wen i sewed Anarkali chudi for her…..once again thanks. ..
Hi.. Mohana priya… i’m very happy to see ur msg… thanks for sharing ur experience… my wishes to your daughter… happy sewing.. Thank you so much for the pictorial demonstration Mam. Can you also teach us how to join the panels to the waist line. As in how to make perfect crisp join at the waist. Absolutely beautiful and clear explanation with the right pictures. I learned sewing long back….haven’t sewn anything for a long time. But now I want to make some anarkali top or lehenga for my daughter. Your crisp instructions are inspiring. Thanks. shanie.. thanks for reading my tutorial and i’ll definitely make one detailed tutorial for your request in the future..